The problem that the mEducator Best Practice Network (BPN) endeavors refers to the abundance of medical educational content in individual EU academic institutions, which is not widely available or easy to retrieve due to the lack of standardized content sharing mechanisms. 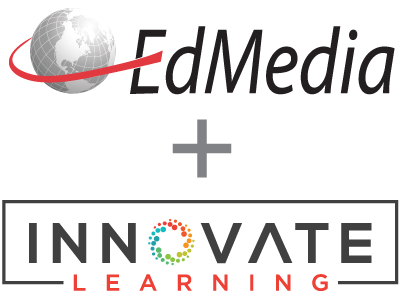 The mEducator BPN aims to implement and critically evaluate existing standards and reference models in the field of e-learning in order to enable specialized state-of-the-art medical educational content to be discovered, retrieved, shared and re-used across European institutions. The project currently focuses on the development of two contemporary ways of achieving content sharing, a solution based on Web2.0 technologies and a solution based on Semantic Web Services. These solutions will be compared and tested with users. The resulting solutions will address the needs of different types of users, such as students, educators, doctors and health professionals and they will be easily transferable to other domains and disciplines. Nicolaidou, I., Bamidis, P., Antoniades, A., Nikolaidou, M., Pattichis, C. & Giordano, D. (2011). mEducator: Multi-type content sharing and repurposing in medical education. In T. Bastiaens & M. Ebner (Eds. ), Proceedings of ED-MEDIA 2011--World Conference on Educational Multimedia, Hypermedia & Telecommunications (pp. 3740-3745). Lisbon, Portugal: Association for the Advancement of Computing in Education (AACE). Retrieved April 25, 2019 from https://www.learntechlib.org/primary/p/38398/. Habler, B. (2009) Access to Open Educational Resources: Report of a UNESCO OER Community discussion, Feb.2009, UNESCO International Community on Open Educational Resources.